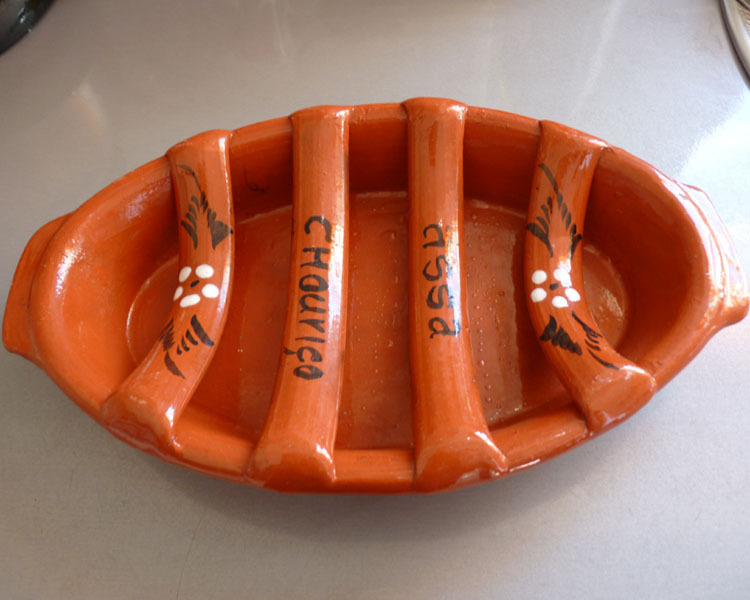 For many years I believed the clay dishes sold by the Artesanos in Portugal (Pottery shops) were toast racks. Yes, toast racks! I pondered over the design of these strange dishes, as you would, and decided Portuguese “toast racks” were extremely impractical as they would not hold many slices of toast. Well what else could they be? Like an adult to a child she kindly explained – they are a special clay dish to BBQ Chouriço Sausage. All you need are some Chouriço Sausages (Portuguese) – (Chorizo Sausage is a Spanish sausage) – another lesson learned and some Aguardente – Portuguese grape brandy or Bagaço which is the homebrewed Aguardente. * Prick the Chouriço Sausage with a fork and place on dish. * Set light to the Aguardente and cook chouriço sausage for a couple of minutes each side. Apparently, Aguardente is used instead of Medronho because Medronho affects the taste of the sausage. To be honest, I won’t be rushing out to buy an Assador de Barro as I am not keen on the taste of the Chouriço Sausage which seems to be a common ingredient in several traditional Portuguese recipes. Armed with the name of the clay dish I tried to research its history on the internet but nada – the most useful or unuseful information was the translation which was “Roaster from Clay” and “Meat grills of mud”. I am curious to learn more about the history of the Assador de Barro – how they came to be invented, by whom and why. Haha, I would never have guessed by the sight of that thing what to use it for. So funny! 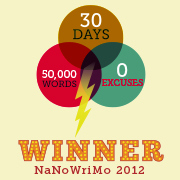 I was totally oblivious for several years! Oh, I LOVE chorizo sausage. Yum. I make a paella that has it, and it’s amazing. Pic here: http://twitpic.com/278zjt Who knew there were special dishes to BBQ the sausage? They eat a lot of chorizo here in Chile and I like them, but I’ve never seen a clay pan like the one you’ve shown. Usually the chorizo are just thrown onto the barbeque at an asado. Wouldn’t mind having one of those pans. I think it would be a great novelty at a party. Remember hibachis? My parents used to have a miniature one that they used only for parties. Hi TR- Yes, it would be a novelty especially if Chorizo is popular – you could try ordering one on the net. What are hibachis? Nancy’s idea would be more to my liking; she is always creative! lol! Their proper use is interesting, but I do like your idea. I have one of those that we brought to Australia. I do miss the Portuguese (or Spanish) chourizo, as the one we buy here in Perth is raw and not smoked, so it always has to be cooked and it´s just not the same taste. My friend thought I was joking when I told her. Well toast racks don’t come up in everyday conversation as a rule! Which part of Portugal and Spain is she going to? My favourites have to be chicken piri piri, catapalana, and Pork and clams. I also love the molotof dessert! Hope she ahs a great time! I’ve never thought about adding it to pasta dishes – what other sauce ingredients do you use? That sausage looks like our traditional “boerewors”. I wouldn’t have known what to do with that dish either! It’s interesting to learn about other countires especially cooking styles. That is one of the strangest pieces of pottery I’ve ever seen. I would have never guessed what it is for, although I do love Nancy’s idea! Yes Nancyy’s idea is cool! chouriço, and not chorizo, is not a spanish sausage. Yes – sorry I did not make this clear in my post. I understand they are different recipes? I keep meaning to go to the Monchique sausage festival. I tried some black sausage once, it was delicious! Any news on the Bifes guest post 🙂 Don’t worry you can poke fun at us bifes! if you go to a house to listen fado, you might be served with one of this and a good glass of wine. I liked the black sausage does that qualify? 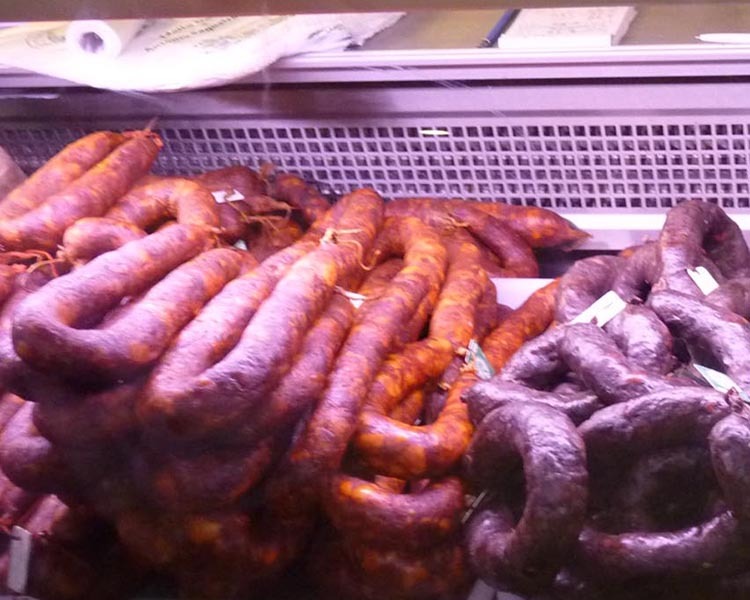 The black sausage is amazing and try the white one too ( farihneira ) and the traditional sausage is best done with “linguiça de porco preto” translated as black pork. thanks Sandra – I am not keen on the “orange” looking sausage but pleased to try the others ! That’s interesting I did not realise that Arabs imported a lot of traditions – and it may be just a tradition here in the Algarve! Thanks for the tip! How funny. It does indeed look like a toast rack for an oval bread loaf. Would love to try toasting marshmallows over chocolate liqueur. Thanks for sharing these unique things with us. Hi Piglet…I’m Portuguese but I live in London,UK…just stopped by to say I find your blog very funny! Looking at Portugueses traditions and recipes from your point of view and then reading the comments has really made me chuckle…it also made me hungry…and homesick…loved it! Portuguese ingenuity! As Emeril Lagasse would say.